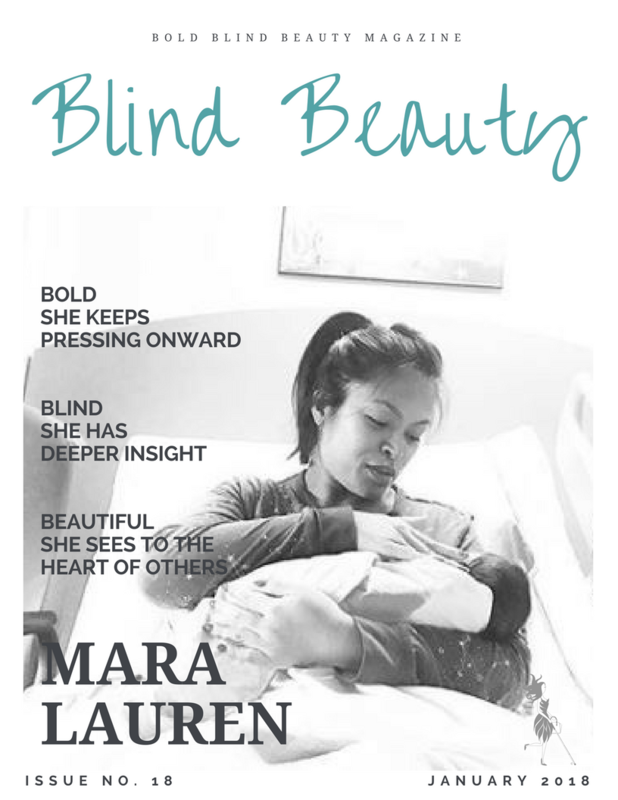 New mom, Mara Lauren, is legally blind and losing her eyesight to Retinitis Pigmentosa (RP). Mara is also losing her hearing to Usher Syndrome. She is a Social Ambassador of #HowEyeSeeIt with Foundation Fighting Blindness and a fellow warrior fighting to bring awareness of blindness. Mara was also featured as a Woman On The Move here at Bold Blind Beauty. A mock fashion magazine cover is the featured image. Mara’s beautiful black and white photo shows her in her hospital bed as she lovingly cradles her newborn son. Love will find away… everyday. Yes it does. Thank you for coming by, reading and commenting.